Casale del Vacanziere was created by restructuring a farmhouse, making the most of the splendid view and the peacefulness of the area. The Casale del Vacanziere, immersed in the green Tuscan hills has been set up with precisely those people who appreciate nature, genuine flavours and historic itineraries in mind. Located in a splendid hilly position, it is at the centre of important historic, cultural, culinary and artistic itineraries. Situated 50 km from Florence and 40 km from Siena, the medieval hamlets of Certaldo and San Gimignano provide it with a suggestive background. An area full of history and art but not only; in fact as well as guided tours of the historic centres it’s also possible to enjoy tastings in the immediate vicinity, of Chianti and bruschetta (toasted bread with oil), delighting in the rich flavours of Tuscan food. Four independent apartments have been made out of the farmhouse, fully furnished with linear, colourful furniture which give the accommodation that brightness and simplicity essential for relaxing. The garden and surrounding area as well as the ample lounge enable guests to lunch in the open air as well as making the premises suitable for families with children and pets. The Casale also has a splendid swimming pool with a small area for children. Guided tours of the historic city centres are available for those who wish to avail of them. 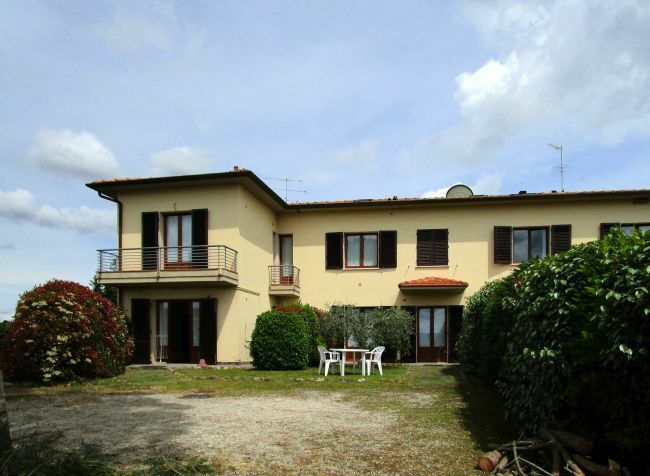 The Casale del Vacanziere also offers the advantage of nearby stables and the town centre of Certaldo where there are supermarkets and facilities of all kinds. You’ll be able to enjoy a splendid, relaxing holiday in the country as well as enjoying art and culture. Gentile utente, questo sito web utilizza i cookie per migliorare la navigazione.Se accedi a qualunque elemento sottostante a questo banner o clicchi "chiudi" presente all’interno dello stesso, acconsenti alla raccolta e all’uso dei cookie. OKSe vuoi saperne di più.